PrintMediaCentr to Feature Interactive Workshop Focused On Online Marketing Strategies For Printshops. 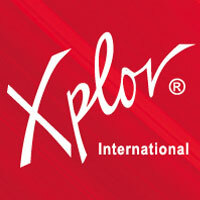 Lutz, FL – Xplor International, the worldwide electronic document systems association, today announced a new pre-conference program presented by PrintMediaCentr as part of Xploration® 15 being held April 14-16th at the Wyndham Orlando Resort International Drive in Orlando, Florida. The pre-conference program, titled Rescue Your ROI: Online Strategies for Offline Success, will take place April 13, 2015 from 10:00 to 4:00 PM. Attendees can register at:www.cvent.com/d/l4qklv. PrintMediaCentr (PMC) provides topical information and resources to the global print and integrated marketing community. With over 100,000 followers across their channels, PrintMediaCentr has established itself as a major influencer in the industry. This hands-on, interactive workshop will focus on online marketing strategies for printers to help drive awareness of their business, improve overall customer experience, and improve their ROI. The program will be presented by Deborah Corn, Joanne Gore, Marketing Director at Avanti, and Trish Witkowski, Chief Folding Fanatic at FoldFactory.com, who will cover messaging, social media, direct marketing, content marketing, and website dos and don’ts to help print shops increase their offline success. Attendance to the pre-conference program, which includes lunch and refreshments, is offered separately from the conference’s Platinum Passport. Registration for Rescue Your ROI: Online Strategies for Offline Success can be purchased separately for $100.00 USD. This PMC workshop is being sponsored in part by Avanti and Dex Imaging.